Master of My Domain? Keep Dreaming. I have a domain, and I’m having difficulty mastering it. No…I’m not talking about the infamous “Seinfeld” episode called “The Contest.” However, this self-contest could possibly be even more challenging than the one George, Jerry, Elaine, and Kramer participated in those many years ago in one of the most talked about sitcom episodes television ever saw. 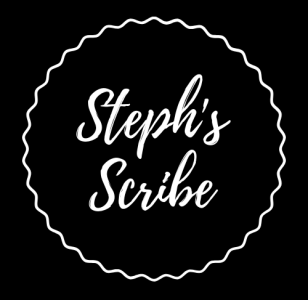 If you’ve been following along with me, you’ve been hanging out with me at my domain, Steph’s Scribe (and I humbly thank you for doing so). It’s not easy coming up with blog posts, two to three a week, and trying to entertain, educate, or inform readers. Additionally, I teach a full-time load, grade a lot of papers, have a family, and am trying to get this book out the door. Add to that what my friend Scott called “Social Media Fatigue” (SMF), that endless competition with yourself to keep up with Twitter, Facebook, LinkedIn, Foursquare, StumbleUpon, reading other blogs, and everything else you’ve got going on in the SM sphere, and you’re likely to feel as exhausted as I am. I’m lucky if I tweet three times a day. The notion of mastering my domain may be on interminable hold. Can it be done or am I just dreaming? What’s astonishing is that I look around and read what other authors who are about to self-publish are doing—they are creating their own media platforms, and many of them are succeeding quite well at it. I’m in awe when I see the strides they make every day. Do they just have more time to do it than I do, or are they better masters of their….? Well, you get it. As for me, my domain is hanging in there, but I’ve let Twitter and LinkedIn and StumbleUpon fall by the wayside. I have a fan page on Facebook, and I barely communicate through that. Can I borrow your watch, because I need to add more time to my day. I know I’m supposed to be attempting to “grow my presence,” but it’s apparent that endeavor in itself is a full-time job. I’ve been hit over the head with this notion of an online presence with a hammer. I get that it’s all about your “online presence.” No one will read your book if they don’t know who the heck you are. I get it. I get it. But I’m suffering a little from SMF. I need to get back in the ring and continue punching away until that final bell tolls. I can’t give up. I have a vested interest in my writings and, though it may not be demonstrated well through this particular post, I do have an unending love for communicating through the written word and creating characters and places for people to read and enjoy. SMF may have its hold on me now, but I’ll never tire of the writing. I love reading your posts because in my crazy busy life, I actually believe that we have had a conversation and feel like I am in touch what is going on in your life. I often wonder how you find time to do it “all” and I am still in awe of your abilities as a writer and your ability to keep in touch with your crazy busy friend from Shady Side! I love you and will support anything that you need help with. Thanks, as always for the kind words, love, and support. It isn’t easy, but I never said it wasn’t fun trying, right???? That’s actually really good advice. I’ve been trying to stay up with Facebook and Twitter, though with Twitter it’s hard. I actually feel so self-indulgent and have to try to come up with witty things to say. Some days it’s just downright daunting. At least with blogging, something comes to me and I decide to write about it. It’s truly a labor of love. But you’re right, gotta jump in with both feet. Thanks for the comment and for the interest! I agree with Kelly (though I think I am juggling three, just about). I never bothered with LinkedIn or StumbleUpon and the prospect of adding all those others to my social media queue is pretty repulsive. The priority for me is blog and twitter, then FB, and that’s it. I do think you probably achieve more by being reasonably active in two or three areas than by trying to spread your time over five or six. For what it’s worth, your blog is one of the best in my subscription list. If twitter and the others have to fall by the wayside in order for you to manage that, who cares? You’re excelling at the most important one! As always, thanks for the inspiration and kind words. You are quite right; better to do a few well. And thanks for the high praise for the blog. That means a lot coming from you! I feel your pain. I can barely keep up with one post a week. I often look at other authors and wonder How, How, How? I know I don’t love it less than anyone else. I remind myself that I’m doing the best I can with four kids and a full time job. I promise when that deal happens and my full time job is a writer that will be the only thing other than mothering that I do. We do it because we love it…even if it means it takes us longer than other folks. The important thing is that we hang in there…and do the best we can!